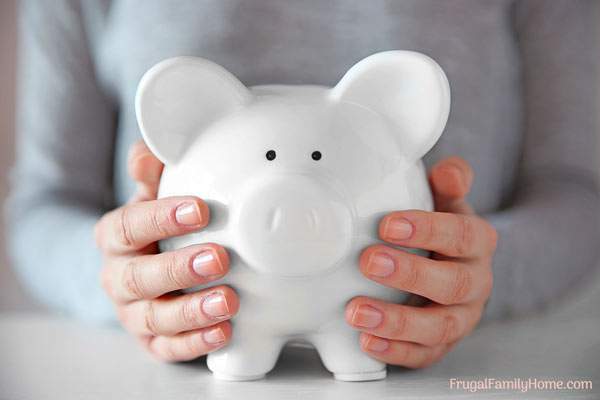 If you are looking to save money, these 10 easy ways to save money each month can help. Do one or two of these items a month or at least when they come up and you can really save money in the long run. When you are intentional about finding little ways to save it can snowball into a large amount of money, often with very little effort on your part too. 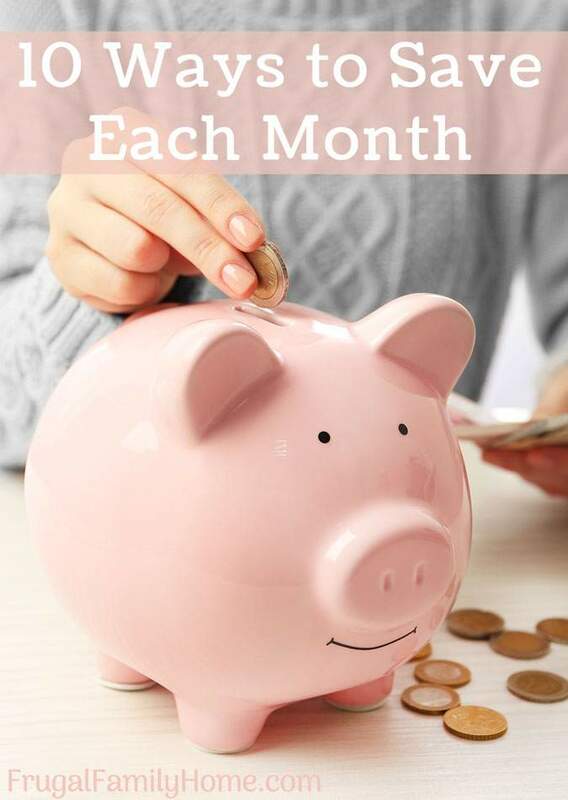 In today’s podcast, I’m sharing easy ways to save money each month. While a lot of these items only have to be done once a year, they can still help you save every month of the year. 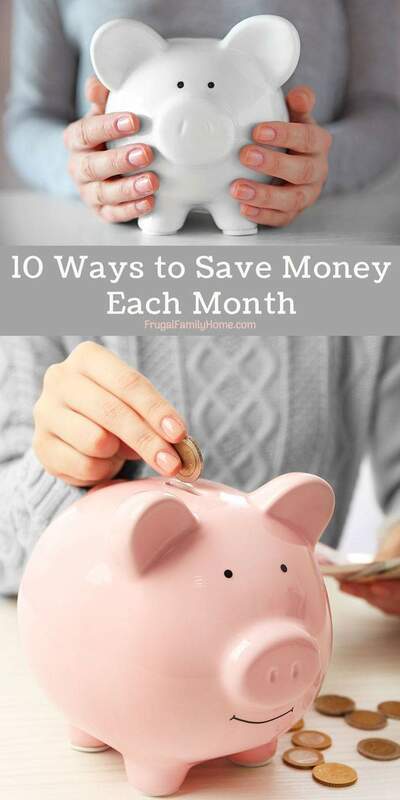 Other tips in this list are things you want to do over and over each month or week to maximize the savings you can see. Click the play button below to listen to the podcast or scroll down to read all ten tips. Don’t forget to subscribe! Want the tips in an easy to print format? Use the form below to sign up for our email list and get the printable pdf too. Just enter your email below and I’ll send it right out. Don’t worry we won’t spam you or sell your email to anyone. Some of the links below are my referral links. When you purchase through them I can make a little money at no extra cost to you. Thanks for your support in this way. You might have been taught to buy the big package they are always cheaper. But that isn’t always true. If you are not a fan of using the library or you don’t have one close by. Try swapping books and cd’s through book exchanges like paperback swap. You can trade your used books for books you want. If you are a heavy user of data, texting, and or calling an unlimited plan might be the best bet for you. Be sure to shop around for a less expensive plan through a different carrier. Often you can get the same cell service but save $10 or more a month by switching to a different carrier. If you don’t use your phone much then looking for a pay as you go plan or a company like Ting where you only pay for what you use. These two options might really save you money. If you have a bill that is bigger than expected or has suddenly gone up in price don’t be afraid to call and ask for a discount. To get a discount all you often have to do is be polite and ask. If you want to save on electronics and appliances choose factory refurbished models. These are items that have been returned and then repairs have been made, making them good as new but at a much less expensive price. If you purchase directly from the manufacturer you might also get a warranty too. It’s nice to get a brand new car with that brand new car smell. But when you drive it off the lot you lose value right away. It’s often better to find a good reliable used car to purchase. Most used cars will need a repair or two but most of the time those costs are far less than the price of a new car. If you want a late model car, try shopping for a lease return, instead of new. You can find a great deal on a low mile car with a great discount in price. Some even come with a warranty or a warranty you can purchase. If you are in need of glasses, you might try one of the online stores. Shopping online for glasses can save you a bundle. You can often get glasses as low at $40. We’ve shopped for discount eyeglasses at Zenni Optical. When you shop online be sure to always check for a coupon code. Search for a coupon code before you checkout. If I can’t find a coupon code. Be sure to go through Ebates to earn cash back on purchases Even if you can’t find a coupon code you can at least earn a little money back. We all have things we need to renew now and then. Car insurance, cable or internet plans, cell phone plans they all come to an end of the policy or plan and then the price inevitably goes up. Instead of just paying the new price, call and ask for a discount or to keep the same plan with the price you’ve been paying. It has worked well for me so don’t be afraid to ask. The worst that can happen is they can say no. This tip can not only get money back in your pocket but it can also help to declutter your home too. We all have items whether it be clothes, kids toys, furniture, or everyday household items we don’t want any longer or use any more. Instead of trashing them, why not try selling them. You can see your items on Craig’s List, eBay, and even in local Facebook buy and sell groups. 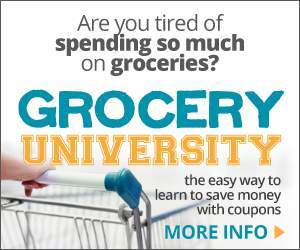 What is another money saving idea you would add to the list? I would love to have you leave me a comment below and let me know. Your tip on asking for a discount really works. I was able to get better prices on our cable and newspaper subscriptions just by asking. We also save tons on books by using our library. They always have the new releases and I can usually get any book I’m interested in by using interlibrary loans, if our local branch doesn’t have it. I make my self a budget and try never to go over the budget.